Nissan and Mitsubishi shares plunged Tuesday after chairman Carlos Ghosn was arrested for alleged financial misconduct, that reportedly included exorbitantly priced houses and diverted compensation. The two automakers have already said they will propose removing Ghosn, and Renault — which the titan also heads — said it would meet later in the day to discuss his fate. The arrest of the superstar executive sent shockwaves through the auto industry and beyond, and Japanese officials scrambled to send reassuring messages about the stability of the three-firm alliance that Ghosn oversaw. “Keeping a stable relationship (among the companies) is important,” industry minister Hiroshige Seko told reporters. “As the government, we will do anything we can,” added Chief Cabinet Secretary Yoshihide Suga, without elaborating. It was a stark indictment on the legacy of the 64-year-old, until now feted for his success in turning around failing companies with hard-nosed tactics that earned him the nickname “Le Cost Killer” in France. In France, the government said it had found no evidence Ghosn had cheated on his taxes there, though the allegations levelled by Tokyo prosecutors did not include any claim of tax evasion. A day after the astonishing news of Ghosn’s arrest first emerged, there was vanishingly little new information about his situation and no official confirmation on his whereabouts. However, sources confirmed he was being held at a detention centre used by Tokyo prosecutors. Television footage showed a van reportedly belonging to the French embassy entering the compound on Tuesday. Nissan CEO Hiroto Saikawa said a months-long investigation prompted by a whistleblower had uncovered years of financial wrongdoing, including the under-reporting of his salary and misuse of company assets. Public broadcaster NHK reported Nissan had provided Ghosn with houses in four countries “without any legitimate business reason,” and that Nissan paid “huge sums” for the homes in Rio de Janeiro, Beirut, Paris and Amsterdam. Representative Director Greg Kelly, who was also arrested on Tuesday with Ghosn, reportedly ordered other executives to “hide salaries”, the Yomiuri Shimbun said. 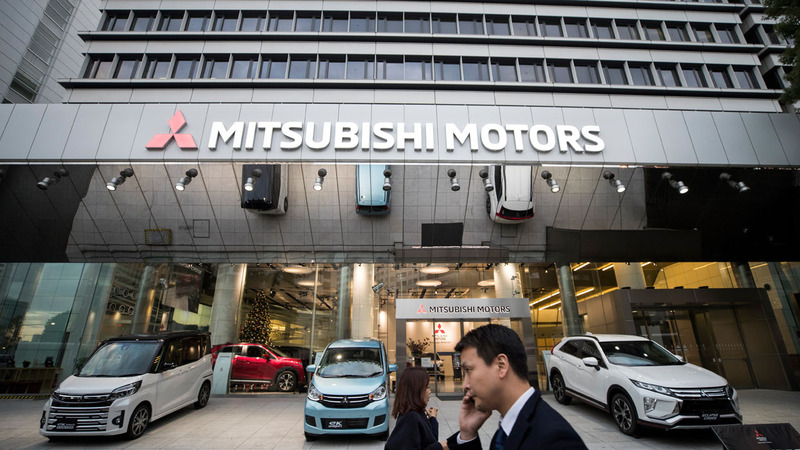 The massive scandal prompted Nissan shares to plunge, closing down 5.45 percent in Tokyo, while Mitsubishi had fallen 6.84 percent by the end of the trading day. As Ghosn’s once towering legacy unravelled, there was no word from the auto boss or any of his representatives. Instead, his own handpicked successor as Nissan CEO accused him of accruing too much power, in a harshly worded news conference on Monday. It was an almost unthinkable turn of events for Ghosn, who had earned a virtually unparallelled reputation, particularly in Japan, for his role in resurrecting Nissan. Ghosn has dominated the country’s corporate landscape, and is a well-known figure among the Japanese public, who know him as “Mr Fix It”, partly through a popular manga comic of his life story. But the tables have now turned, with the Yomiuri Shimbun on Tuesday describing executives at Nissan slamming Ghosn as “greedy”. “He says the right things, but in the end it’s all about money,” the daily quoted senior employees as saying. Despite his international renown and rock-star status, particularly in Japan where he was a rare foreign-born executive, Ghosn was not without his detractors. He earned admiration but also anger for his ruthless restructuring at firms like Nissan. This is corruption right here. I’m sure he would not go scot free. Nissan has been making lot of new cars that I just can’t take my eyes off. The man may feel his reputation as Mr fix it has not reflected in his bank account so he decided to help himself by stealing. It’s all about money, yeah it is.